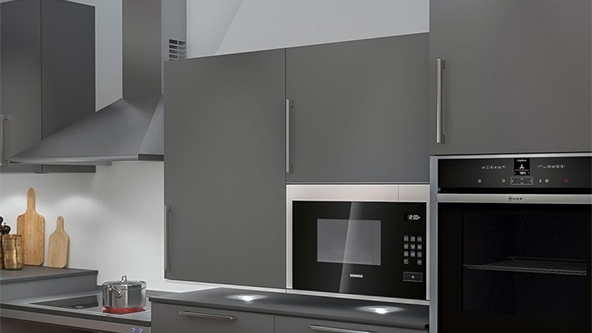 The Granberg Diago is an electric wall cabinet lift that lowers the entire kitchen cabinet in a diagonal motion to the front edge of a worktop. Multiple cabinets can be mounted onto the lifting frame, and its clever and discreet design makes it suitable for different cabinet depths and heights. The lifts come with a choice of push button or remote control, and are pre-fitted with a safety mechanism which stops the downward motion of the lift in the event of an obstruction.